Don’t Forget To Make Stuff! Lately, it seems like a large percentage of my shop time has been spent either trying to work on projects for the shop or restoring hand tools. Don’t get me wrong, I enjoy doing these things. I love the feeling I get when I finish a workshop task and I can see that I’m inching closer towards having it finished. And I could get lost in tool restoration, if I’m not careful. Much like working with reclaimed wood, there is a big draw for me in taking an old, abused tool and cleaning it up, getting it back into proper working order so I can use it in my shop. But I’ve spent so much time focusing on those two aspects of my woodworking that I’ve really neglected the part where I make things! So last night I thought about it for a minute and decided on a project I want to make that has an inherent deadline of about a month, which is good motivation to work on it. I went down into the shop, quickly sketched out an idea of what I wanted, pulled out the tools I need for the first few steps, and got to it! I’m not sure I can use my Record 043 plow plane on a project without taking at least one or two pictures of it. Maybe it has to do with the almost-instant gratification I get when I’m making grooves. Here is a flat board with jointed edges. 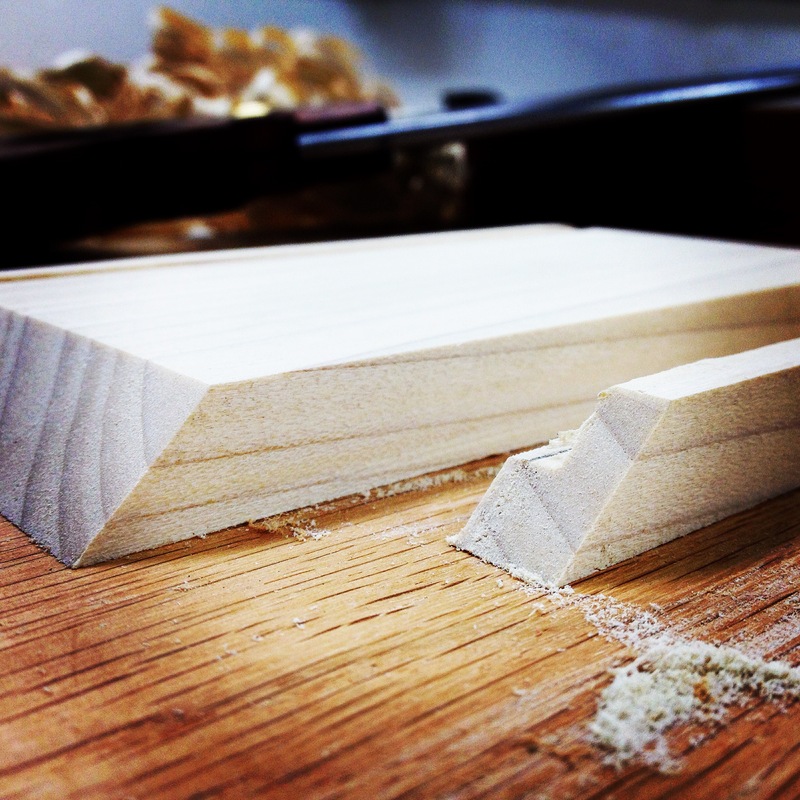 Five minutes later, here is a flat board with two perfect grooves running parallel to the long edges and a bushel of narrow, thick, curly shavings. I got to use another one of my favourite tools shortly after that. It is my Disston 12” backsaw I got for a steal and then had Matt Cianci sharpen up for me like a sash saw. 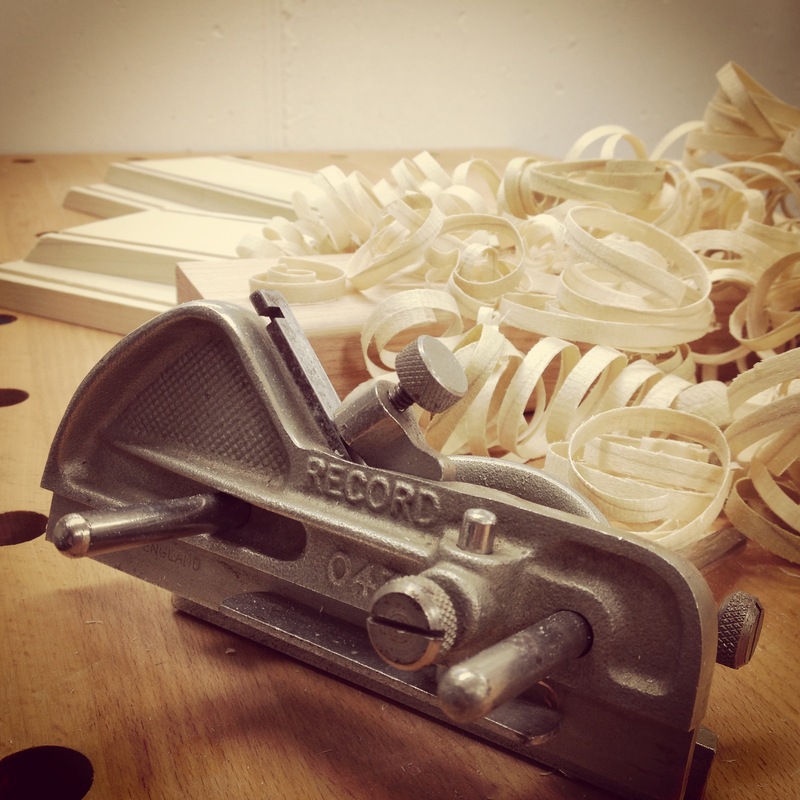 If you’ve never used a saw that was sharpened by Matt, then you need to make it a short term goal for the first quarter of 2015. It will change your views on how well a saw can function. I don’t know if you can see just how smoothly this saw cuts; hopefully you can. It took two swipes of a block plane to clean this up. To quote Chris Schwarz, “Matt is a wizard.” Indeed he is. I’m trying to learn how to sharpen my own saws. But I like keeping this one handy and sharpened by Matt so I have something I can use for a reference, to show me what sharp really is. Hopefully I don’t have to try and explain how good it feels to just go into the shop with a basic plan, pick out some wood, and start working, do I? To many, that can be daunting. But guess what. 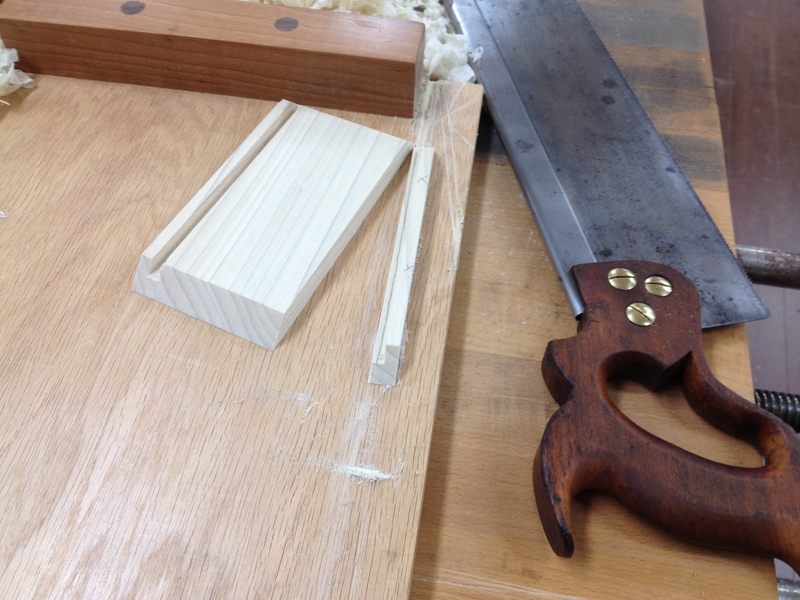 Your fears about making errant cuts or botching your plane work melt away as you get lost in the action of creating. If you’ve never done that before, you should. Tonight. Now, even. Go! It’s fine to be afraid. But then go do it anyway. That’s my new motto. That’s kilted woodworking. I’m sort of in the same boat as you. I finished a project last month and haven’t really done much since except work on old tools. At the same time, in this part of the country it’s just been tool cold to really get in depth with anything. So the way I look at it, messing around with old (and new) tools gives me something to do until it warms up, as well as allows me to be prepared when the time comes. Same boat, but different reasons, maybe. Now that I’ve stopped using things like a jointer and a table saw, my shop is comfortably in the basement. Comfortable is a pretty consistent 68 degrees or so in the winter, which is a little chilly at first, but perfectly fine after a bit of planing or sawing, and about 75 or so in the summer, which feels great and makes it very difficult to leave the shop. And since I’m (generally) much quieter with the hand tools, I can work late into the night all year round without disturbing anyone. So I don’t have that as a (legitimate) reason for not being in the shop. But having worked out of the garage for about 12 years, I fully understand where you’re coming from. My reason usually boils down to a fear of screwing something up. Funny enough, when I’ve messed something up in the past, I almost always easily repair it or figure out some clever way to work around it or cover it. And I always learn from those mistakes. So I still can’t explain why that fear would keep me from making something, because it always works out in the end. Great to see your comment, Bill! Haven’t heard from you in a while! 🙂 Spring is just around the corner, so hang in there!